As many of you know I had the privilege to be in the US to visit with family and friends from Jan.-March. I started out my time at the world gathering of The Mission Society held in FL. There were missionaries from nearly every field The Mission Society is in, about 200 missionaries in all. This was a great opportunity for us to rekindle old friendships and make new ones as well as worship, celebrate and strategize to reach more of the lost and better develop disciples. After the gathering I traveled to Atlanta, GA and was blessed to have Ed and Susan Sherrell host me in their home while I was in the US. Thank you ever so much Ed and Susan and may God richly bless you both. I was hampered or delayed in making some of my planned visits by severe weather but I managed to get the majority of the scheduled meetings completed. I traveled to churches in several states; South Carolina, Tennessee, Alabama and Georgia. I was blessed by so many of you during my visit. I am sorry that I did not get to visit with more of you while traveling but my calendar filled up as quickly as the ice storm froze the roads. It was also amazing spending time with Kelly and our rapidly growing grandkids. I want to say how much I greatly appreciated the hospitality and love you shared with me. 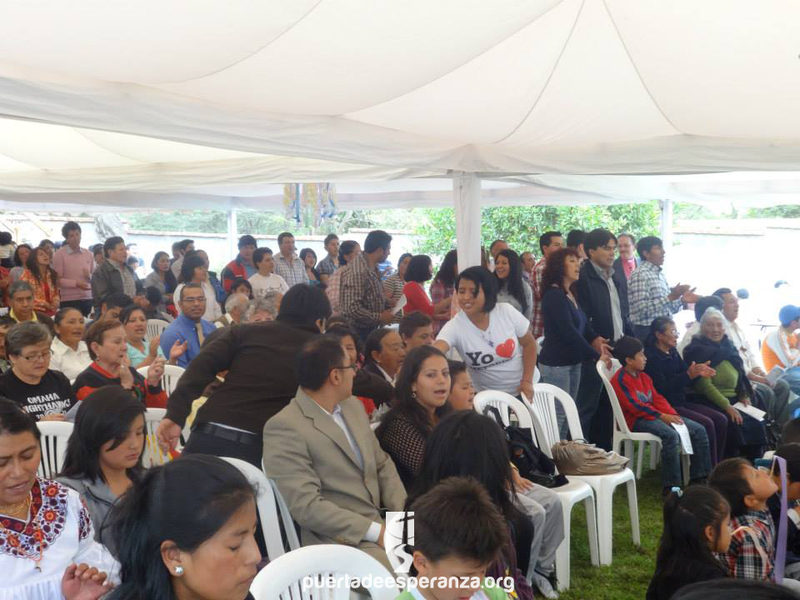 This is confirmation that you are ours and we are yours, you are a vital part of what goes on here at The Door of Hope. Thank you for your continued support and prayers as we continue to partner in ministry for the King. 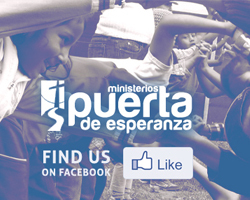 The last few months have been filled with joy for the youth program here at Puerta de Esperanza. Last month we organized a soccer tournament with another Compassion project where the youth had a great time playing. over, the youth from both projects played together and enjoyed the rest of the afternoon. We are hoping to do another tournament this year to continue building friendships between the projects. This year our church was given the honor to host a mountain district united worship celebration for Easter Sunday. This was quite an undertaking for our church as we are still small and young. 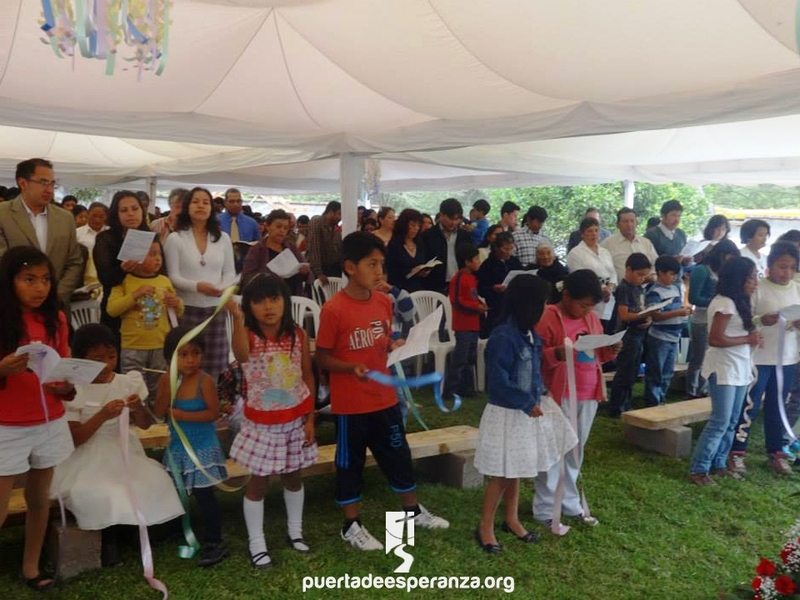 Only about a month prior to Easter we began preparing by cleaning, building, renting tents and chairs, and purchasing food for the most important celebration of the year. We lit the brick oven Saturday morning to begin the process of this great celebration and prepared the marinade for the chicken. Sunday morning arrived and just as the scripture says, the ladies arrived early in the morning as the sun rose. They peeled potatoes, cut vegetables, sang and talked. We had a small sunrise service to worship our risen Lord and prepare our hearts for this opportunity to serve in this blessed place. About 9:30 the first bus arrived full of joy filled worshipers. Busses and cars kept coming until we were full to the brim with about 450 were in attendance. They represented 10 of the 12 mountain churches. As most of you know and those that have been here 450 is a huge crowd for us. We sang, prayed, worshiped and celebrated that Jesus is alive and that he is not among the dead but among the living. Then we ate. This was a great time to gather together for worship and fellowship. All left very satisfied and full in spirit and full in bellies at about 4 pm. Praise God for His presence and love for each of us. That was Jesus’ command to us so we are getting ready for great things. 6 girls are taking up the challenge to be trained to teach kids by meeting weekly after a few hours of homework. It is exciting stuff and I am so pleased to be able to lead them through it. 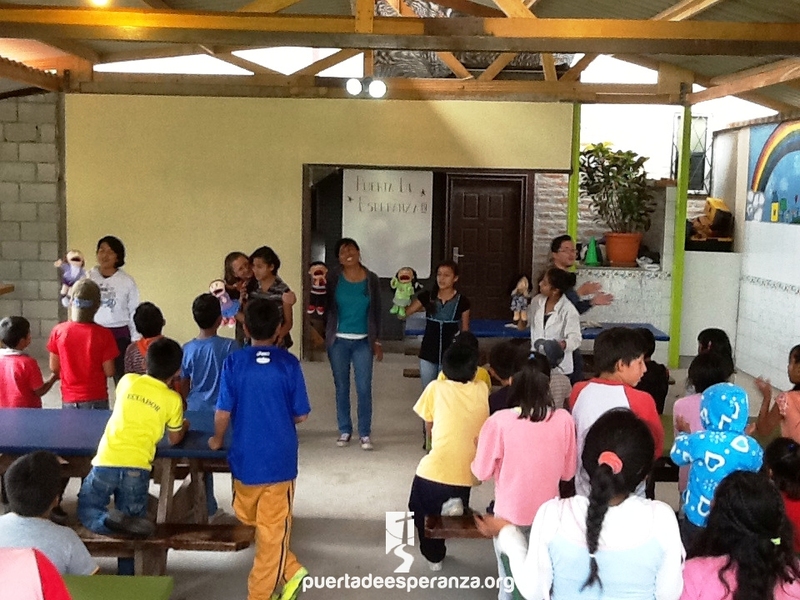 They are learning to prepare a lesson from any scripture and bring it to life through stories, games, questions, puppets and other activities as well as present the kids with a way to apply a Bible truth in their life. Like I said, it is exciting. We will be put to a test this weekend as we support an evangelism outreach event with a church about an hour north. We are in charge of the kids’ tent for 6 hours. It certainly will show what God wants to do and hopefully encourage the girls to search out ways to use what they are learning. Please pray for us and them as we dream big and then get our hands and knees dirty for God’s glory until all have heard that Jesus is LORD. The miracles of Jesus hit close to home as we watch the amazement in little faces as the stories unfold each week for the past 3 months. We finished with the greatest miracle of Jesus coming back to life and shared how He was the first of many to rise from the dead. Worship times have been especially awesome with some of our youth leading and teaching new songs with a twist of dance moves. 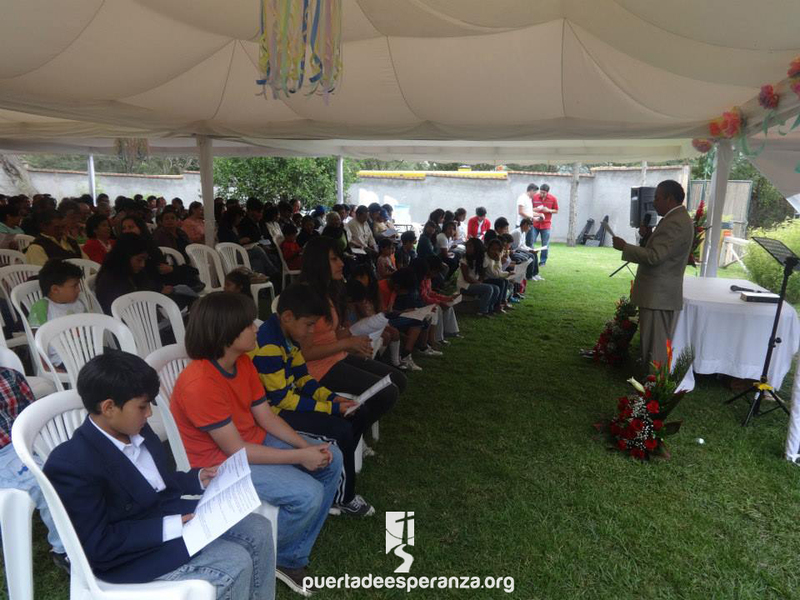 Many of them were here to present their moves and voices for the Easter celebration. To God be the glory. With our smaller group on Thursdays with Compassion sponsored kids, we continue to help with homework and extra lessons in life. Two groups have been working hard while having fun learning English. We sure laugh A LOT! I sure wish we had more time so we could move faster and they had more time to practice. They are doing great. 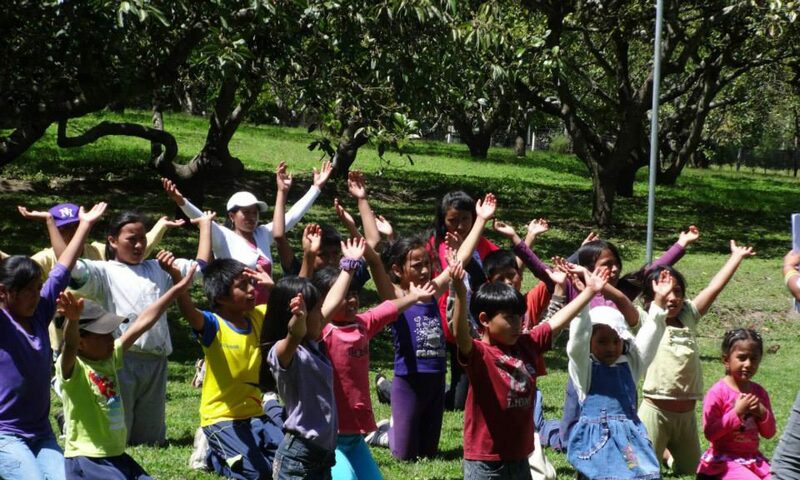 I hope to teach them a song in English next month to sing to a mission team in June. 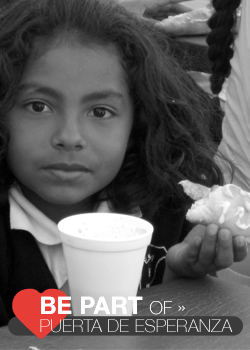 We continue to serve 3-4 nutritious meals/week to various groups. We made one meal extra special with a dessert made by each child, empty tombs with crackers, caramel and Oreos. They went a bit nuts as each had a very difficult time deciding whether to eat it or take it home because they were so cute and they wanted to share with their moms. Their teachers keep asking what we do here because they have noticed a creativity and enthusiasm among our kids. Our kids shine on the sports field too. They seem to be more creative, athletic and stronger than many of the other kids in their grade. It must be the trips walking to our house as well as the very energetic games we play together. We just pray for them to treat each other as teammates while here at the Door of Hope as well as at school and home. 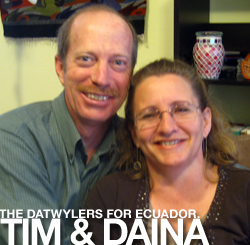 Thank you all for contributing to the wonderful life we GET TO live out for the Kingdom way up high in the middle of the world with a most amazing group of Ecuadorians. It all started at Tuesday night Bible study when someone asked for prayer for a girl in a nearby town who was run over by a truck. Upon further questioning I found out it was a 7 year old who was part of our kids for 4 years until she moved away but many of her cousins are faithful to be with us every week. It was heart breaking as I asked some of her family about the accident. She was not conscious and her parents signed a “not responsible for death” clause with the hospital. This usually means that survival is less than 20% possible. We lifted up an army of prayer warriors all over the world and prayed fervently for God’s will. 2 weeks later she was well enough for visitors so Esther and I went to find her. By the grace of God they let me in to her room where I met her tearful and thankful mom. I gave Brithany the pile of cards the kids made for her as well as a coloring book and brand new crayons. I explained how we had been praying for her and that it was a miracle she was alive which her mom was well aware of. The doctors had said she could be home in about a month so I told her that pastor Tim would be home in 5 weeks and I wondered who would make it home first. Brithany raised her arm and waved as she choked out through the tubes that she would beat Tim home. Sure enough 3 weeks later she was released and a few weeks later her uncle brought her to kids club. She still can’t walk but her surgeries have gone well and she is getting stronger each week. The most precious thing was the smiling (overjoyed) response of all the kids when they saw her. It was amazing because the day she came we were talking about Jesus healing a paralytic and reviewing many of His miracles and we all looked at her and understood God’s great love and power to heal. Thanks to all who joined us in praying for our little miracle, I can’t wait to see what God has planned for this little life He saved.